Bold colours in eye-catching motifs, a contemporary piece suitable for accessorizing any room. 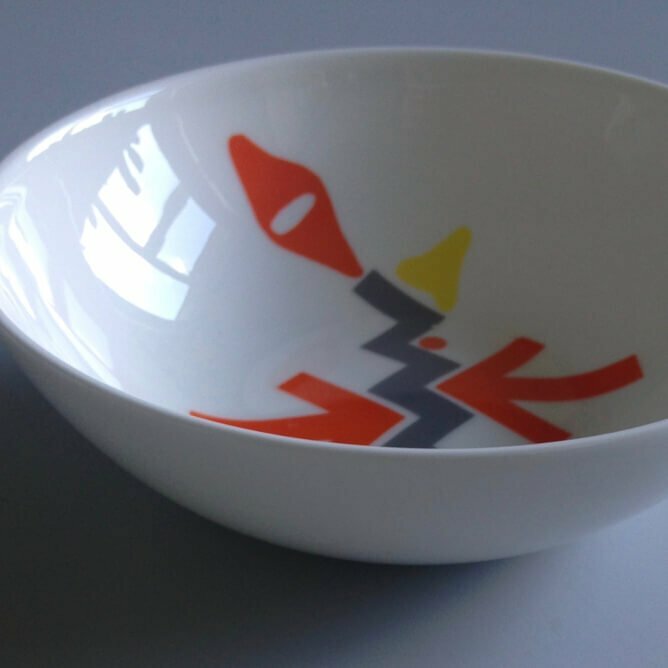 This small bowl brings together Laura’s love for colour, form and patterns from the every-day. Using motifs found in unexpected areas is a constant source of inspiration for Laura and this piece is another example of her ability to create compositions based on the overlooked. 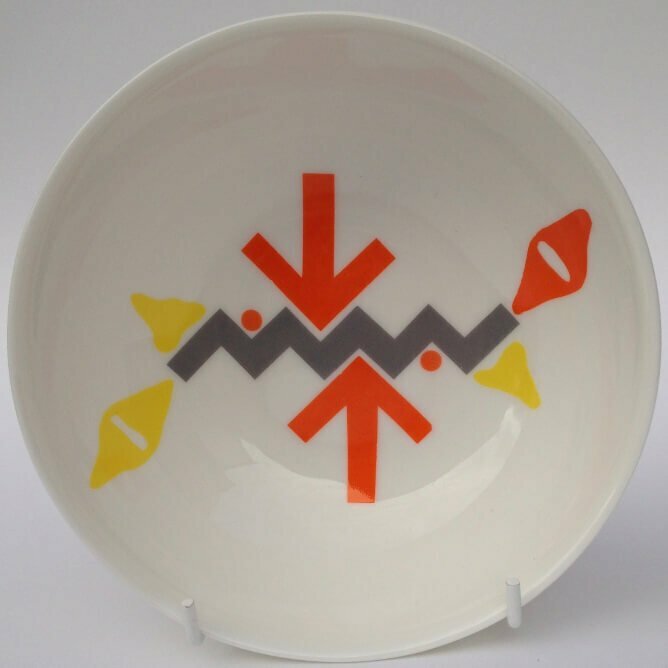 Fine Bone China, hand-cut and applied enamel decals.